Engineering is a famously competitive field where dozens of extremely qualified candidates can apply to a single position. In order to succeed in the engineering industry, you need to start by creating a resume that will put you miles ahead of the competition. Writing a convincing resume is a challenging task for any profession, but engineering jobs are special - often the person responsible for choosing the best candidate has nothing to do with engineering, which means it can be even more difficult to land the coveted position. However, with these engineering resume writing tips everything is possible! Contact information. Your name, phone number, email address, and physical address should be clearly visible on the very top of the page. Objective statement. In just a couple of sentences you need to explain your reasons for applying to the position and what exactly makes you the best candidate. Education. List every institution you’ve attended prior to the application in a reverse chronological order, including the name of the institution, the years of attendance, the major, and the degree you obtained. Coursework. Here you can either include any engineering-related experience you’ve had during your studies, or simply list any extra courses you’ve attended. Licenses. In this section you need to present the licenses you currently have or the ones you’re pursuing at the moment. Work experience. This section of a resume is one of the most important ones, since it describes your whole career. 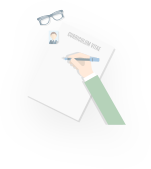 Use a reverse chronological order to present your past positions with a job title, company name, years, and main responsibilities and accomplishments. Skills. Any skills you feel are valuable for the job, whether they are language, computer, or other skills, should be included into this section. References. A good way to make your resume stand out is to include a separate page with references from your previous employees. Make sure each of the people you list there gave their permission to include their contact information. Engineering is a field that stands out for a number of reasons. First of all, it’s famously hard to get into - you need to spend years studying engineering just to launch your career. And even then it doesn’t get easier - you need a convincing resume to land a job, whether you’re fresh out of college or have spent the last decade advancing your career. Luckily, we can help with that step thanks to our engineer resume example. 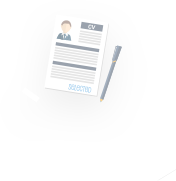 So how exactly can sample engineer resumes help you get hired? Most importantly, resume samples can understand what your own resume should look like and what it should include. Here are some sample engineering resumes created by our professional resume writers. Whether you are crafting a network engineer resume or a network engineer resume, these tips for making your resume shine apply for all engineering jobs. Show off your engineering skills and turn your resume into your newest project. Being precise and attentive when working on a resume truly pays off: a beautifully structured resume that is free of any mistakes is much more likely to catch the attention of the reader. Include only the minimum of information into your resume. Give the HR manager just enough to be impressed and invite you to the interview - you can tell the rest of information about yourself in person. If you’re applying for more than one position, customize your resume every time you’re writing to a new company. Change the resume according to the job description - the requirements for a civil engineer candidate can be vastly different from a network engineer position. A project list that highlights your professional experience, along with the mention of the time spent on each project, is a major advantage over the competing applications. Being honest is crucial for the success of your resume. Exaggeration and lies will always come out, and it’s going to seriously hurt your chances of getting hired. Attaching a cover letter to your electrical engineering resume is a surefire way to make yourself stand out as a candidate for the job - the HR manager will spend more time on your application, which can bring you the desired results. Engineering resumes tend to be longer than the standard 1 page resumes due to the project list and other essential parts, but don’t try to make yours shorter by using a smaller font. It will negatively influence the readability of your resume. In order to fit into the 2-3 page resume, it’s best to review your resume once again and throw out any information that is not absolutely relevant. A good engineering resume is your first step on the way to a successful career, and our team of professional resume writers will gladly help you craft an engineering resume that will maximize your chances of getting your dream job.